Earn you 205 reward points. The wires connecting Motor and ESC can't be modified in order to guarantee the efficiency of this power system. Foxtech 8120 Power System Combo is released. 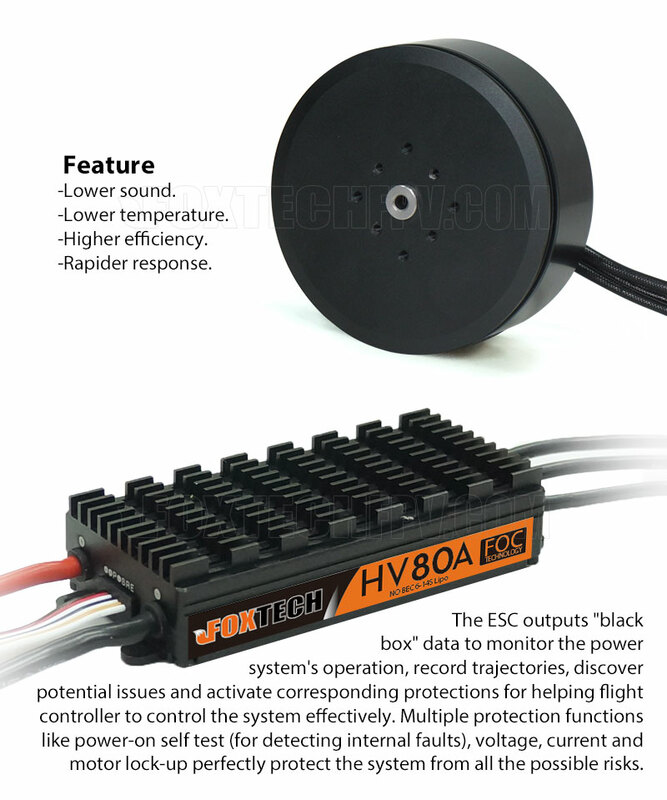 Foxtech 8120 100KV FOC ESC HV Combo is designed for agricultural drones which features powerful software and reliable hardware. 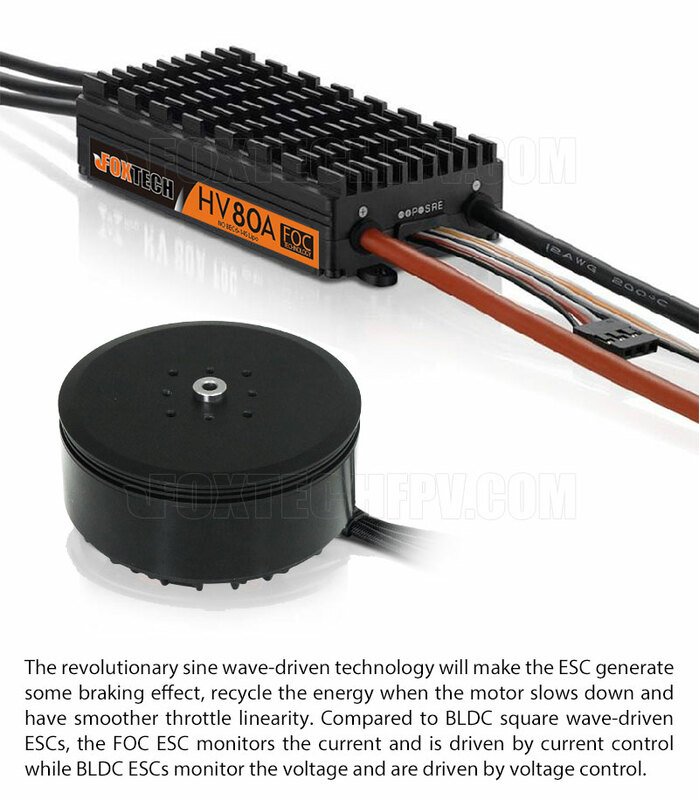 The ESC, which adopts the FOC driving technology, has the advantages of lower sound, lower temperture, higher efficiency and rapider response. And the nano-coating technology combined with the anti-corrosive housing makes the ESC dustproof and waterproof to IP55 standard. And the motor waterproof level is IPX8. The protective design of Foxtech 8120 power system effectively guarantees the excellent waterproof, rustproof and anti-corrosive feature. Foxtech 8120 power system also has great heat dissipation performance, the high- efficiency heat dissipation structure effectively improve the flight performance. Foxtech 8120 motor features great stability,reliability and high impact resistance. The precisely balanced rotor guarantees users low vibration and noise during the motor's high-speed rotation. The FOC solution greatly improves the battery's sustainability, increases the flight time and effectively protects the motor and battery and prolongs their service lives via current control.